Gor Mahia assistant coach John Bobby Ogolla was recently honoured during the Mashujaa day celebrations along with other footballing legends Joe Kadenge and Mahmoud Abbas. No footballer in Kenya has accomplished more than Bobby Ogolla as both player and coach. Inhis playing days, Ogolla who was fondly known as the “six million dollar man” won multiple trophies while playing in the defensive stopper position. 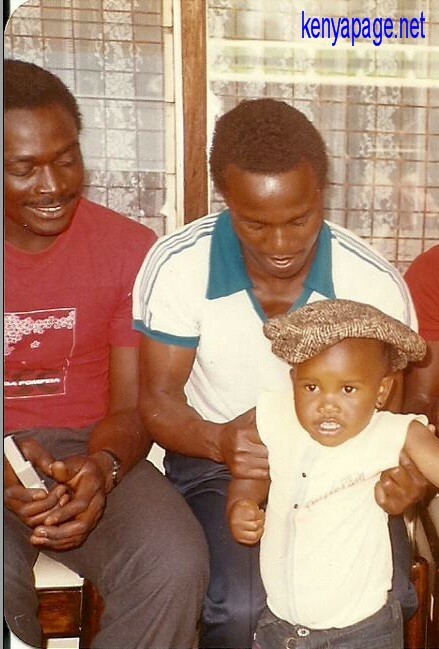 As a youngster, he was a member of the Gor Mahia side that reached the Africa cup winners cup final in 1979. It marked the first time that a team from East and central Africa had accomplished such a feat. 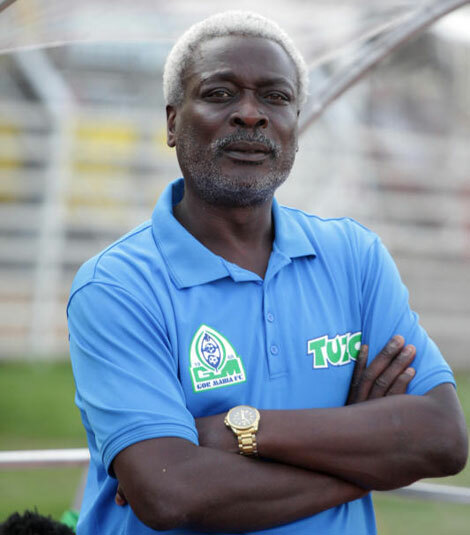 Ogolla would then play a pivotal role in the Gor Mahia sides that won the CECAFA club cup in 1980, 1981 and 1985. On the local scene, Bobby Legend was the key defensive pillar as Gor Mahia won the national league in 1983, 1984, 1985 and 1987. With Ogolla in central defence, Gor Mahia would win the domestic cup (then known as Moi golden cup ) in 1986 and 1987. That last year 1987 was the year when Gor Mahia went on to achieve continental glory. That was Ogolla’s last season in action. At national team level, Bobby Legend was the player who held the national team defence together. It was during this period that Harambee stars won the CECAFA senior challenge cup three times (1981, 1982 and 1983). And this was during a time when when Zambia, Malawi and Zimbabwe were full time CECAFA members. During this period , Ogolla was recognized as the best defensive stoppper in the CECAFA region. To this day he is remembered by fans from Tanzania, Uganda and as far south as Zambia and Zimbabwe. None other than legendary goalkeeper Mahmoud Abbas considered Bobby Ogolla as the most crucial player in Harambee stars defence. Ogolla was also in the Harambee stars squad that reached the final of the 1987 All African games. During this period, the All Africa games was a tournament for full strength national teams and not U23 as it is today. In fact Kenya came very close to winning that tournament but for a dubious goal scored by the Egyptians from what looked like an offside position. That feat remains to this day, the greatest performance by the Kenyan national team. Ogolla’s defining moment came in the 1982 CECAFA cup final in Kampala. Kenya met hosts Uganda who had been heavily favoured. The Cranes still had many of the players who had helped them reach the Africa nations cup final 4 years earlier. As hosts Uganda were expected to win. Bobby was assigned the task of marking Ugandan dangerman Issa Ssekatawa. The same Ssekatawa who was rop scorer in the Ugandan league three times in a row. Bobby completely marked Ssekatawa out of the game. The Ugandan attempted to intimidate Bobby with a vicious elbow to Bobby;s forehead. Bobby left the game briefly and received seven stitches while on the sideline. He came back and played like a true hero for the rest of the game with his forehead heavily bandaged and needing constant medical attention. The word “dying a little for the country”comes to mind when people remember Bobby’s performances for Harambee stars. He was an inspirational player who instilled confidence in the rest of the team. But his contribution at club and national level wasnot limited to defence. He is one of the best free-kick takers in the history of the country. In each league season he scored 3 or 4 goals from direct free kicks. He had one of the most powerful shots ever seen in the country. His immense physical strength and robust tackles intimidated many strikers. Hencethe nickname “six million dollar man”. Upon completing his playing career, Bobby took to coaching. He was an assistant coach to Gerry Saurer who assembled what is possibly the best Under 21 team ever assembled to Kenya. He was also an assistant coach when Harambee stars qualified and went to the 1992 Africa Nations cup. In the interim period he had several stints as coach or assistant coach of Harambee stars. In 2009, he was a member of the coaching staff at Sofapaka who went on to win the national league title. He later took over as the head coach in 2010. In 2012 he returned to Gor Mahia as interim coach and later assistant coach under Zdravko Logarusic. With Bobby as part of the technical bench, Gor Mahia has won the national league 3 times, the domestic cup once and the Super Cup twice. Bobby the Legend who hails from Seme location in Kisumu county clearly holds the record for most titles won in Kenya as both player and technical bench member. And he is without a doubt the best central defender Kenya has ever produced. And one of the most committed technical bench members in the country today. His recognition as one of the Mashujaa of Kenya is highly deserved and he continues to build on his legacy. Kudo’s woud Songa, you are the real EXAMPLARY, to the up coming Stars, that they can emmulate to!!. During your time at GOR MAHIA, you were never mentioned in any MATCH FIXING, and to me that’s what made you to be what you are Today. Even though you do not know me Personaly but YOU ARE AREAL “HERO” to the former GOR MAHIA FANS AND NOW. Congratulation’s WOUD SONGA REPUBLIC. You and MR. AUSTIN ODIWUOR, YUO ARE REAL “HERO” OF GOR MAHIA K’OGALO” May the ALMIGHTY GOD GIVES YOU MORE DAY TO NATURED YOUNG KENYAN’S. Bobby thanks for many years of service and dedication. You served your entire playing career with Kogalo almost 10 years. In those years you also played for Harambee Stars with distinction.